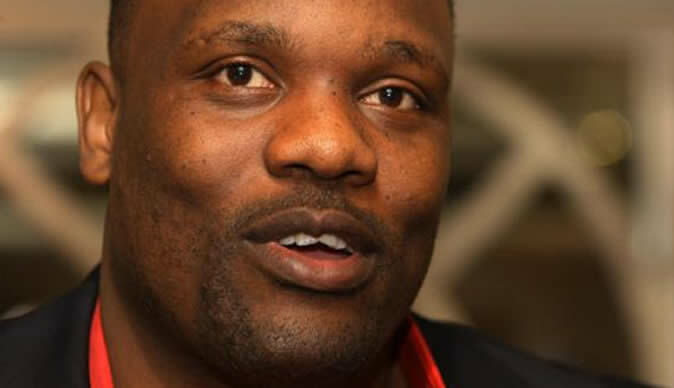 Zimbabwe born former British and Commonwealth Heavyweight Champion Dereck Chisora has been reissued with a new British Boxing Board of Control license today. Chisora's lost the right to fight last year after he was involved in an ugly brawl with David Haye in Germany. Under the banner of the Luxembourg Boxing Federation, the duo settled their grudge at Upton Park in July when Haye stopped the 29-year-old Finchley heavyweight in the fifth round. And Chisora, who has previously challenged for both the European title and Vitali Klitschko's WBC crown, is now free to box on the undercard of Nathan Cleverly's clash with Robin Krasniqi at Wembley Arena. Chisora said: "I'm glad this whole episode is finally behind me and I can carry on with my boxing career in my own country with a British Boxing Board of Control licence. "I would like to thank everyone who has kept faith me over the troubled months and I look forward to repaying their loyalty with my performances in the ring as opposed to my action outside of it. "I'd like to particularly thank the Luxembourg Boxing Federation for their support." Chisora's promoter Frank Warren added: "I'm delighted the British Boxing Board of Control made the right decision and re-instated Dereck's licence and the slate is now clean. "He is an exciting fighter who always gives 100 per cent. As announced, Chisora will make his return to the ring on Saturday 20th April at Wembley Arena. "We will announce who Dereck will be fighting at Wembley Arena shortly but it's great to have him back in action and we've got some big plans for him."